The Distressed Fix Team Offers Buyer Representation at NO COST to You! BUYERS BEWARE: Educate yourself about distressed properties before making an offer! There are some great properties available at below market costs that people are buying! Please note that when you are looking for properties, you will most likely come across distressed properties in your search. While these type of properties have alot of advantages, (often priced under market value), there are also some unique challenges that you should be aware of. Before you buy a distressed property, it is important to know that these transactions are not like a normal real estate transaction. Recognize these differences BEFORE you go into contract! If you feel that you do not want to include short sales in our searches, please let us know. once the offer is accepted. Make sure your loan will be ready to go. Buying a short sale requires a lot of patience and a whole different skill set from your REALTOR. That is why it is important to work with Certified Distressed Property Experts like the DFX team. Marsha and her team have the skill set required to help guide you through the complicated short sale process. Their services are NO COST to you. They are actively working in the market and know what gem properties are out there. It takes a professional to truly hear what your requirements are and then wade through the vast inventory of homes to find the perfect property for you! 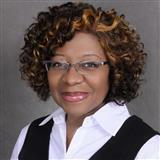 Call Marsha today for a FREE Consultation about Buying a Property in the New Jersey area. For additional information and reports for foreclosure and loan modification, click here!